Sugar Hill breaks ground on the first major piece of a much larger puzzle on Wednesday, June 22, 2016. The groundbreaking celebration will take place on the future site of the EpiCenter, a multi-use facility in Downtown Sugar Hill. City officials, County Commissioners, State Representatives, and several esteemed members of the community will be in attendance. The event celebrates breaking ground on the much anticipated project and represents the city’s mission is to create a lively environment where people can gather. Talk of the project has sparked the interest of several investors looking to develop over $300 million in projects over the next several years. The city has been working with Precision Planning, Inc. and New South Construction to perfect plans for the project. The EpiCenter, located just east of City Hall, will house a 350-seat community theater, which will be home to Sugar Hill’s Broad St. Concert Band and the Players Guild at Sugar Hill. The 30,000 square-foot hub will also be home to a state-of-the-art gymnasium, featuring a walking track, volleyball, pickleball and basketball courts. In addition to the community space, the EpiCenter will also feature unique retail, class A office space, restaurants and a tree-top lounge that overlooks The Bowl @ Sugar Hill, the City’s amphitheater. Residents and guests will have the opportunity to host weddings, reunions, receptions and other gatherings at one of the beautiful meeting rooms located inside the EpiCenter. The project has caught the eye of several developers. 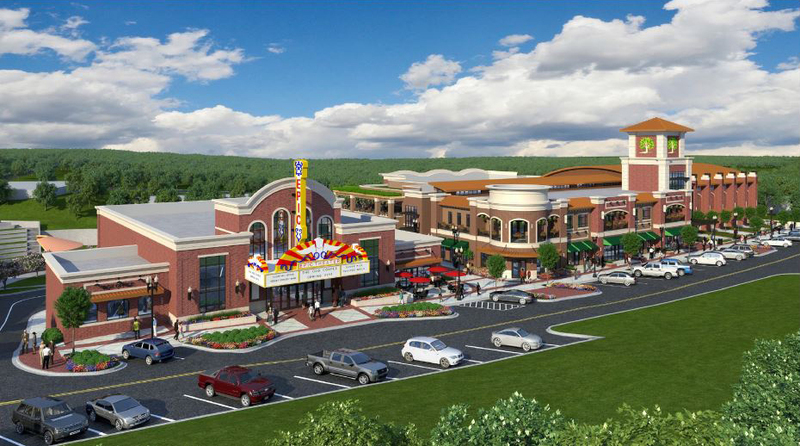 JWM Ventures will soon be breaking ground on a high-end hotel and conference center within walking distance to the shops, restaurants and the amphitheater. Macauley Investments has plans for a “Sugar Hill Town Center” which will bring condos and upscale apartments into Downtown. Just down the street from these projects, Trinity Lifestyles Management is building a senior lifestyle facility with a retail component fronting Highway 20. There is also talk of bringing a niche grocery store and more unique shops into Sugar Hill. “There is an art to building a City. This strategic and methodical process is like a game of chess where there are nearly limitless outcomes to consider when making a major move,” Mayor Steve Edwards commented on the project. “The timing is right for this investment considering the impact of the widening of Highway 20. We will see the city become a commercial hub and our goal is to keep commerce, jobs and spending in Sugar Hill. There are 30,000 vehicle trips a day on Highway 20 and once the widening project is completed, DOT is projecting 50,000 trips a day. This is not to mention the traffic currently traveling on Peachtree Industrial Boulevard. Downtown Sugar Hill sits at the epi-center of this commercial hub.” The EpiCenter is projected to be completed by the first quarter of 2018 and is expected to bring hundreds of jobs to Sugar Hill ranging from construction to the hospitality industry. Further developing area’s economy, the other projects breaking ground this year will bring the job count to nearly one thousand. With the downtown changes as a catalyst, the city is looking to its next big project, The Sugar Loop. This 12-mile walking and biking trail will connect the downtown and the city’s scenic parks. Providing a “Sweet” quality of life to all residents is important to the city. Sugar Hill is excited about the upcoming changes and looking forward to the progress over the next few years. 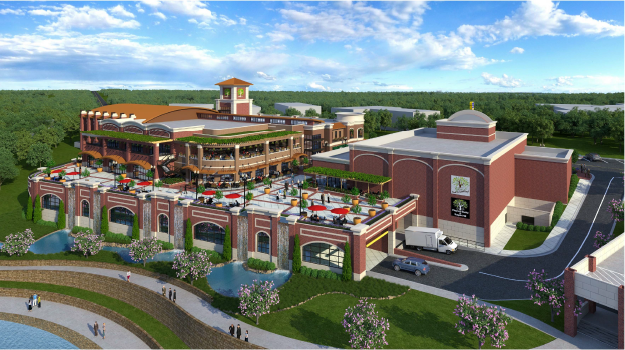 For more information on the EpiCenter, please contact marketing@cityofsugarhill.com or (770)945-6716.